AlleyWatch chatted with CEO Hazem Dawani about the company, how it started, future plans, and how it accurately can help you predict the future. The world is awash in data, yet because of a lack of analytics platforms and algorithms to discern meaningful insight from the noise, geopolitical events still catch governments, businesses, and investors by surprise. Many of these events — ranging from terrorist attacks to sudden asset price moves to political upheavals — are in fact telegraphed by the online behavior of internet users. Predata anticipates the risk of future events by sorting through the publically available metadata of browsing patterns to find the important information to help clients manage their risk. Predata’s predictive analytics platform uses this alternative data and our machine learning techniques to build models of online human behavior that anticipate the possibility of future events. Our models — expressed as risk signals, market indicators and predictions for political and economic events — allow clients to discover areas of risk, quantify threat levels and take action based on their analysis. Our platform works by finding patterns in aggregate online human behavior. To do this, we don’t analyze any specific content. We’ve found that pattern analysis has its limits with content because of the fluidity and nonspecificity of language along with the rapid change of content markers, like keywords and hashtags. Predata realized that the metadata of online communications (the when, the how many, etc.) were the data that could not only be easily quantified, but that also formed long term, repeatable patterns. When we structure this data in our models of online human behavior and pair it with our proprietary event database and machine learning technology, we’re able to map these patterns to major events and create leading indicators of risk. We currently have clients in the corporate, government and financial markets spaces. The artificial intelligence and data analytics market is already a multi-billion dollar market and growing. However, because of the level of customization and the variety of use cases for Predata, we’re always discovering new applications of our platform and new types of clients. We’re a B2B data platform delivered as software-as-a-service that clients pay an annual fee to access. Predata began as a response to the founding team’s experience working for the government on national security issues. Through the course of their work they found that, although classified information was often the headline of intelligence reporting, it was frequently supported by robust unclassified information. However, despite the value of this public information, it was being pursued in a mostly qualitative and subjective manner. While that type of analysis is an important component of the intelligence cycle, it’s limited by the need to know what content is going to be relevant at what time in order to properly search for it. So, the team set out to find a technology solution to systematically discover and quantify the most important data available in public sources. 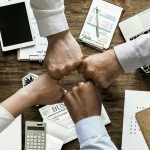 The result has led to the product as it is today, though its applications expand outside of its original government context to include use cases for corporate and financial clients. Can you please provide some interesting and actual use cases where your platform was correct? We’ve helped global organizations anticipate the risk of violence by militant groups, multinational corporations anticipate the risk posed by government regulatory actions and global macro hedge funds gain evidence for asset positions, and to anticipate the risk of large market moves. Recently, Predata used its platform to predict a major appreciation in the Japanese yen one week before it happened. 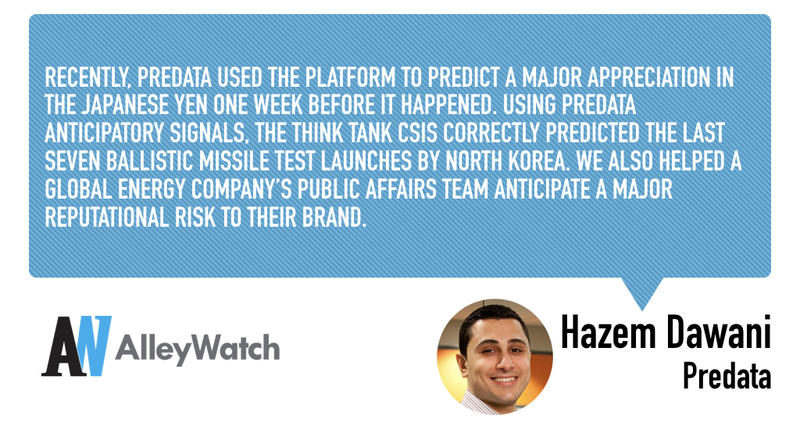 Using Predata anticipatory signals, the think tank CSIS correctly predicted the last seven ballistic missile test launches by North Korea. We also helped a global energy company’s public affairs team anticipate a major reputational risk to their brand. The platform has rapidly evolved since our founding in 2014, and we continue to find new ways to improve. The biggest change we’re looking forward to launching is an executive dashboard where clients can easily monitor collections of signals, predictions, and market data. We’re always adding new users and to discover new use cases for clients’ needs. Don’t start a business unless you’re ready for a lifestyle change. Becoming an entrepreneur requires a full professional and personal commitment, and is so addictive. It’s hard to find the complexities of the problems and challenges you face in another environment so, if you’re anything like me, when you’re done with one startup, you’re ready for the next one. I’d love to have a meeting with Michael Bloomberg. Professionally, I’d want to know his tips for building a software and data empire. Personally though, he just has such a breadth of different experiences that I know it’d be a great conversation. New York attracts such great talent. 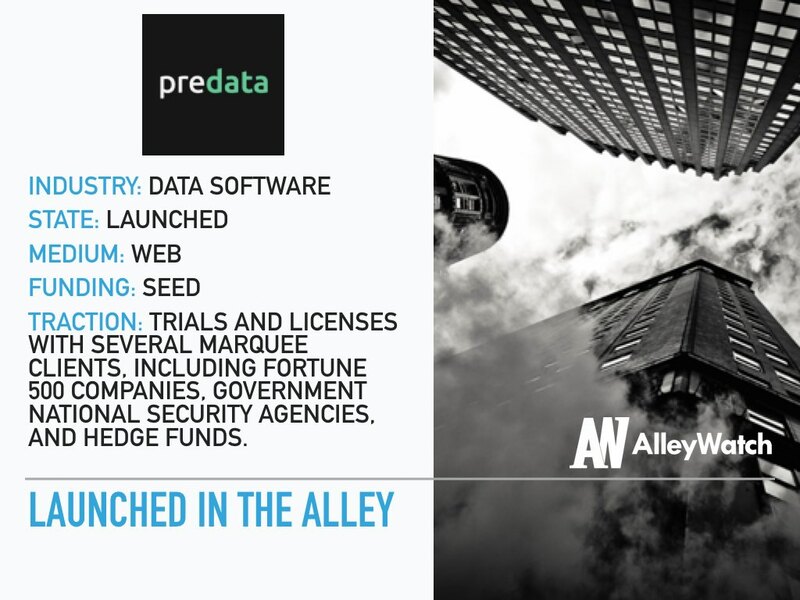 The team here is so impressive and was a major factor for me in choosing to join Predata. Between the platform’s innovation and the team’s talent, they convinced me to pick up my roots in Chicago and move here. Not an easy thing to do! The Calexico cart in Soho.